The use of treated sewage sludge on agricultural land is a well-established if sometimes controversial practice. Researchers are now delving more deeply into biosolids, looking to find any potential contaminants. Jack Folkertsma knows there are people who just can't accept that he and other Canadian farmers use treated sewage sludge to boost the health of their soil and the production of animal feed like corn. 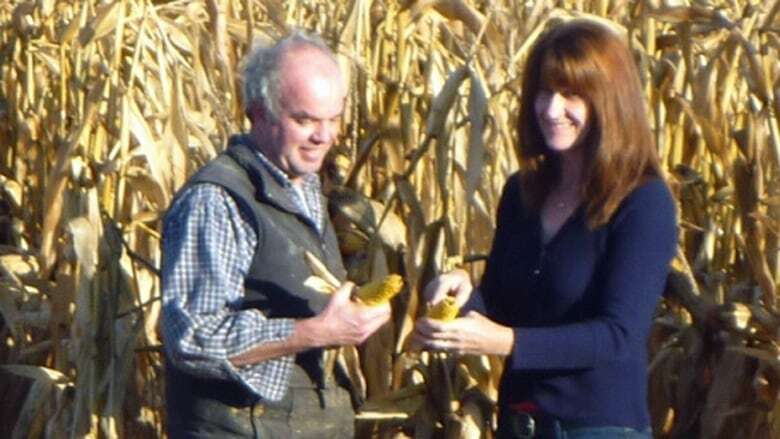 "Some people just don't like it at all and want nothing to do with it and they can't even really give you a reason why," says Folkertsma, who has been spreading biosolids —​ which is largely human waste — on his corn fields and working the dried substance into his land near Shubenacadie, N.S., for six years. Now, though, Folkertsma says he is seeing more acceptance of the agricultural use of biosolids, something he says has increased his yields, improved the pH level in his soil and allowed him to cut back on chemical fertilizers. "There used to be quite a stigma in Nova Scotia about it," he says, adding that now seems to have gone away. "It's been a positive experience for me in seeing the soil levels increasing in fertility and being able to do it in a cost-efficient way." The use of biosolids on agricultural land is nothing new, and for farmers and municipal managers there are some obvious benefits to its use: It boosts soil quality, is about a quarter the cost of chemical fertilizer, requires much less in the way of fossil fuels to produce and is better used on fields than sent to costly landfill sites or dumped in a nearby harbour. At the same time, this is essentially human waste we're talking about, and in our pharmacological times who knows what proportion of that waste is contaminated, even after treatment, with unusual chemical compounds or even mood altering drugs. "The science that exists today doesn't suggest that there's a concern, but we don't really know a lot about emerging contaminants, not just in biosolids but in wastewater, in our environment writ large," says Bernadette Conant, executive director of the Canadian Water Network. "There's nothing so far to indicate that it is a problem," she says, but the CWN is funding a series of research projects in any event, just to be certain. The rest is incinerated or sent to a landfill site, an option she considers unfortunate because "you're probably taking what is a pretty clean and beneficial product and making it dirty by adding it to the garbage in a landfill. It's not the ideal use of it." Still, the practice of spreading human manure on agricultural land is not without controversy. In the Greater Victoria region last fall, regional politicians voted overwhelmingly against overturning a two-year-old ban on putting biosolids on land, as residents were opposed to the idea, fearing contamination. 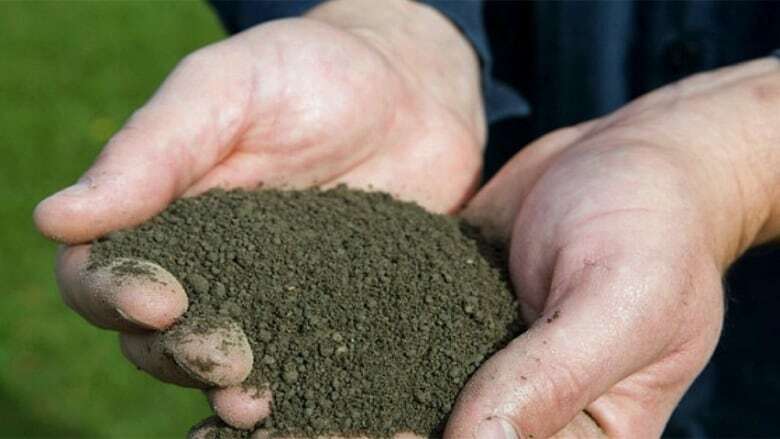 At the same time, Halton region, west of Toronto, has been spreading human waste on fields for about three decades, and the municipality's seven wastewater treatment facilities now generate about 11,000 tonnes of usable biosolids annually. In Halifax, which until 2007 sent about 90 per cent of its sewage straight into the harbour, up to 30,000 tonnes of biosolids are now produced each year. "In the past, we've had some challenges just because of the public perception, but the future is looking a little better," says Susheel Arora, director of wastewater and stormwater services at Halifax Water. "We've done some research across the globe, and we've got in Canada, specifically in Nova Scotia, the most stringent guidelines in terms of what can be put on the farms." Researchers are now delving more deeply into the makeup of treated sewage sludge, looking to ensure that everything possible is known about the product. Funded through the Canadian Water Network, scientists are looking at tiny creatures that live in soil — ranging from earthworms to springtails, a wingless jumping insect — to see if they exhibit any deleterious effects of the use of biosolids. Other scientists are focusing on "emerging substances of concern" in biosolids. That terminology could be considered a bit deceptive — what they are looking for aren't so much new substances as existing ones, such as traces of human personal care or pharmaceutical products, like cholesterol drugs, which can be more easily detected in ever smaller amounts now because of improving scientific methods. "One of the reasons we can see them in water and soil is … not because they're suddenly there and they weren't there, but analytical techniques have advanced such that we can see terrifically minute quantities of a substance," says Conant. Finding trace substances are one thing, though. There are different methods of detecting those compounds, says Gordon Price, an assistant professor in the faculty of agriculture at Dalhousie University in Halifax who is leading the research on the impact of alkaline-stabilized biosolids. "But, often, trying to link that to an effect becomes very difficult. That's where the science hopefully comes into play to help guide, and that's what we're trying to do." Lise Leblanc, an agricultural consultant in Halifax who introduced Folkertsma to the use of biosolids, also sees a lot of potential for the product because of more policy and regulatory initiatives coming online. "I see this as something that's important for the future. I see this as a responsibility of everybody because we're all producing it." She sees a big problem looming in the declining health of soils, and the potential for biosolids to help address that. "We're not going to improve our soil health in order to be sustainable strictly on fossil fuel products," she says. "So it's going to be really important that we look at what we have … using those products, making sure they're safe, continuing to regulate how we treat it and how we use it." For farmers, she also sees an economic benefit to biosolids. In Nova Scotia, for example, farmers spend up to $30 per tonne for the treated product. The equivalent amount of commercial fertilizer and lime would cost $125 per tonne. "It's quite an economic return for the industry." Leblanc also sees a need for programs that teach the public more about the potential impacts of what they put down their sinks and toilets and to encourage the notion that the issue of biosolids is not just a "farmers' thing." "We can't deny that it's something that occurs every day and that we have a responsibility on figuring out what is the best, environmentally sound way to manage it because we have to feed the soil," she says. "We have to build our ecosystems. We can't just do it just on compost alone, or commercial fertilizer. We can't. It's just not going to happen."